From hockey games to musicals, it’s no secret that Detroit is a hub for lively entertainment. While it's true that there are plenty of opportunities to sneak downtown for just a couple hours, some of the best ways to have fun in this city simply involve showing up and exploring your surroundings. If you love reading and haven’t yet made a visit to John K. King Books, add this to your to-do list RIGHT NOW. 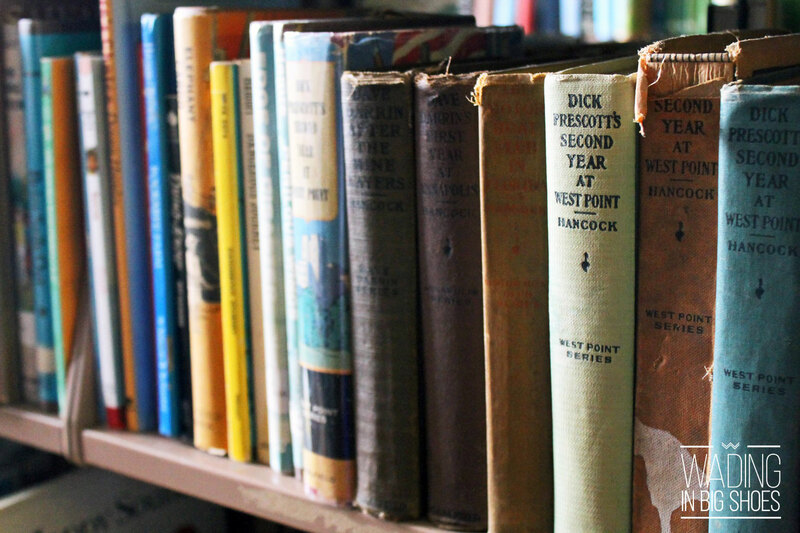 John K. King Used & Rare Books has two locations (one’s in Ferndale), but the building on West Lafayette in Detroit is the place to start if you’re up for a day of overwhelming your literary senses in the best possible way. Inside this four-story, former glove factory, you’ll find creaky wood floors, huge windows, that good ol’ musty paper smell, and access to over ONE MILLION BOOKS. Also, be sure to grab a map on your way in . . . because you’re gonna need it. Sifting through a treasure trove of books can really work up an appetite, so when you're done, head over to Green Dot Stables in Corktown to fuel up on some of Detroit’s favorite sliders (there’s always a wait, so try going for lunch instead of dinner or request a seat at the bar for shorter wait times). Try the Mystery Meat (it changes every day) with some truffle & herb fries for an American-style meal that’s turned up a few notches. Once you’ve filled your belly, drive over to midtown for a look at the Detroit Public Library’s main branch. 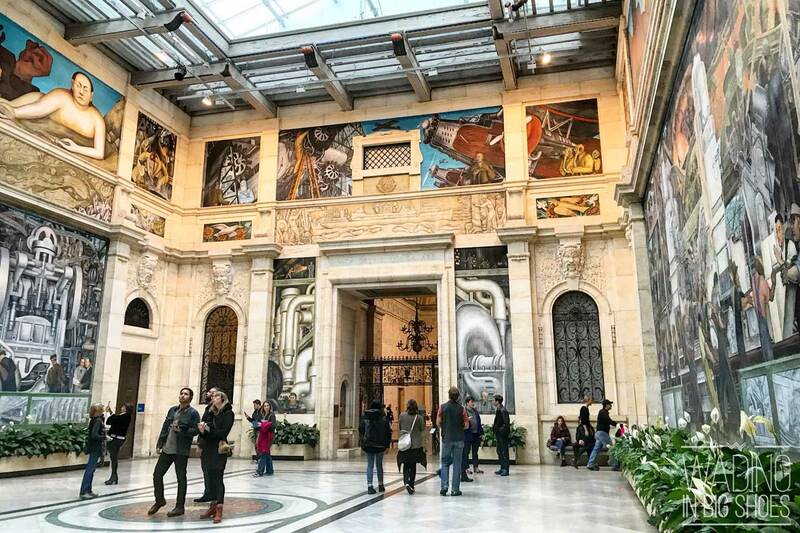 Located across the street from the Detroit Institute of Arts on Woodward Avenue, the DPL houses a huge collection of books, music, and historic artifacts—and you don’t need a library card to get in on the fun. Head upstairs to take a gander at the building’s gorgeous murals, paintings, and architectural detailing, or discover even more with a free tour (frequently offered on weekends; contact the library to sign up ahead of time). 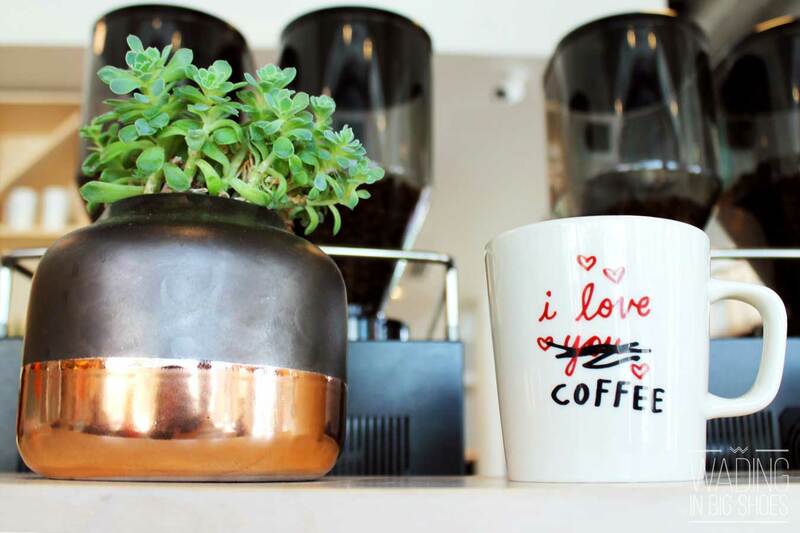 Life’s too short to drink basic coffee! I love Starbucks as much as the next girl, but there are too many fun coffee shops in Detroit to ignore. Coffee aficionados: I know you have some kind of super-human caffeine tolerance that I will never be able to match, so I recommend using your superpowers to taste your way around the city’s cafes, ranking your favorites for future reference. There are wayyyy too many “must-tries” to list here (I’ll save that for a future post), but a few of my favorites are Great Lakes Coffee Roasting Co. (midtown and Cobo Center), Roasting Plant (this one’s actually a chain, but it's legit and has just a handful of locations worldwide), and New Order Coffee Roasters (these guys offer free coffee-tasting workshops and are located right down the street from GLCRC on Woodward!). Before, during, and after your Chemex pour-overs, be sure to treat yourself to some pastries or other hearty snacks/small meals to make sure you’re balancing out that coffee buzz. Most of Detroit’s coffee shops serve up some delicious goodies (try the sea salt chocolate chunk cookie at New Order! ), but we also really like Astoria Pastry Shop in Greektown, Avalon International Breads (W. Willis and Woodward locations), and Detroit Institute of Bagels in Corktown (get a bag to take home for later!). 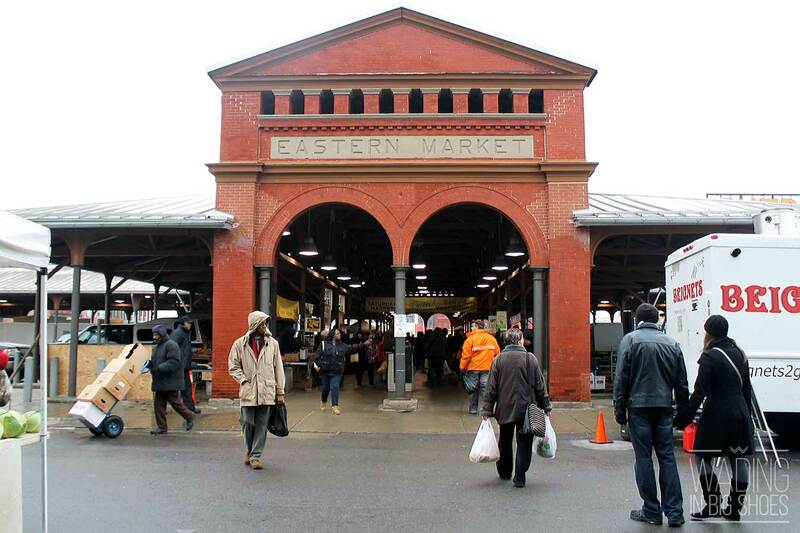 If you’re a full-on foodie and think all things gourmet are cause for celebration, head over to the Eastern Market for a day of expanding your culinary horizons. To get the full experience, try visiting during one of the regularly-scheduled outdoor markets (times and days vary by season) for an ample variety of produce, baked goods, meats, plants, home decor, and more. After you’ve picked up the ingredients for your evening meal, grab lunch over at Supino Pizzeria, coffee at Germack (also a renowned purveyor of nuts and snack foods), and/or dessert at Rocky Peanut Co. or Mootown Ice Cream Shoppe. And don’t forget—the market isn’t just covered sheds and weekly vendors! Check out surrounding grocers (we love DeVries & Co., Gabriel Import Co., and the Gratiot Central Market), pick up some vintage treasures at Eastern Market Antiques, listen to live musicians on every corner, and snap some photos with your sweetie in front of one of the market’s colorful murals. If you want to see it all and don’t know where to begin, try booking a strolling brunch or mural tour with Feet On The Street Tours, where you’ll enjoy a morning being guided around the market while learning about both popular and lesser-known spots that are worth experiencing. Steady, choppy, or frozen: No matter what time of year, the Detroit River is always a wondrous sight to behold. 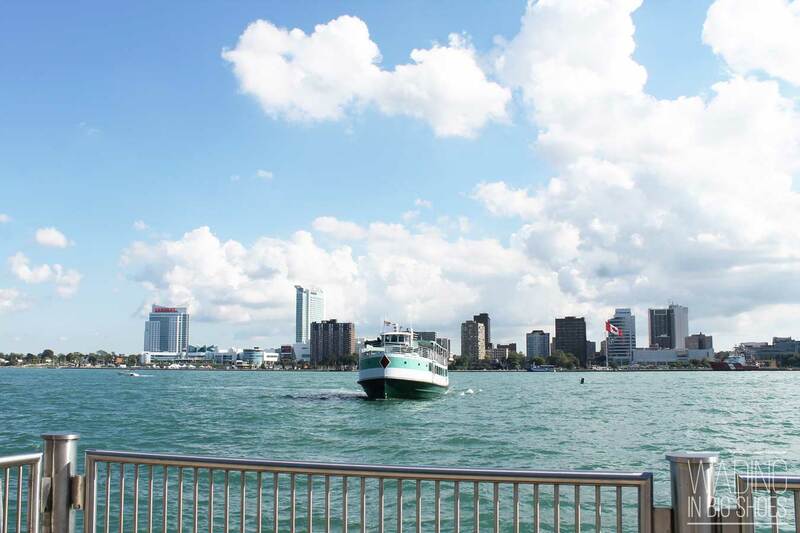 Get an up-close view on the Detroit Riverwalk, a continually-developing area that’s great for walking, running, strolling, and spectating (and there are plenty of festivals that take place here throughout the year). Next, take a walk inside the adjacent GM Renaissance Center (filled with gift shops, restaurants, food courts, and a great indoor view of the river if the weather’s rough), then head across the street (be sure to use those crosswalks!) to take photos with the Spirit of Detroit and Joe Louis fist statue. Want to see a little more of the city while resting your feet? Hop on the People Mover (there’s a station at the RenCen) for a loop around some of downtown’s most popular spots. Belle Isle is a great place to enjoy Detroit without the bustle of the city. If you’re arriving by vehicle, you’ll need a Michigan Recreation Passport, but if you decide to walk, ride your bike, or take a bus to the park, there are no entry fees. Pack a picnic lunch, bring a frisbee, or go for a loop around the isle—it’s a great place to explore! 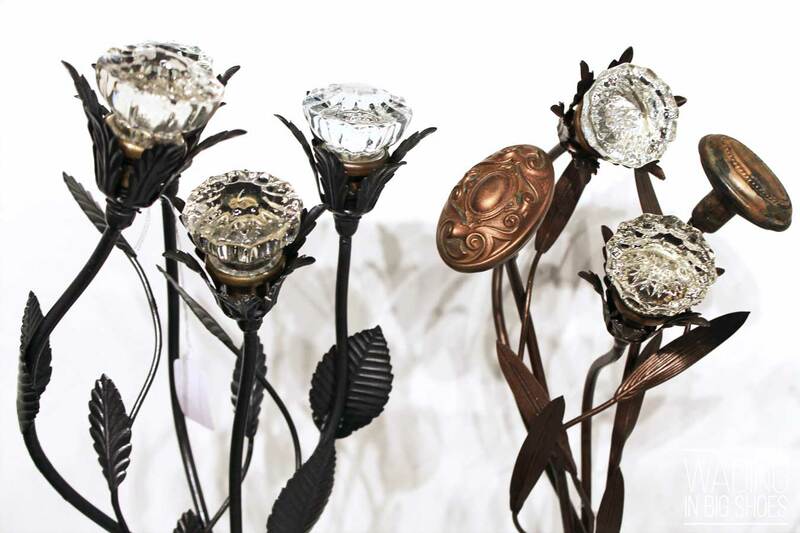 If you and your significant other are craving a day of artistic inspiration, there are plenty of options in Detroit that’ll keep you enchanted and intrigued. 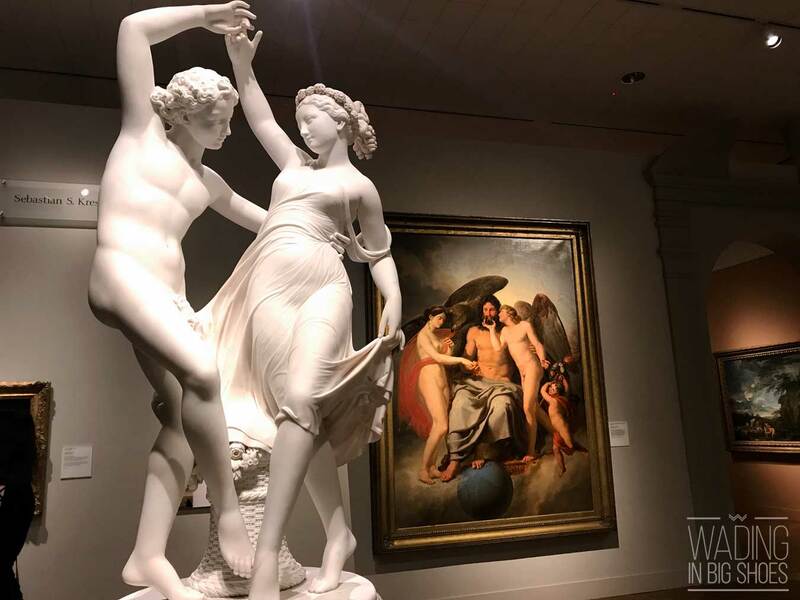 Not to be missed: The Detroit Institute of Arts (which I also included above in my “Museum Lovers” section), followed by a half-mile drive or walk down Woodward to the Museum Of Contemporary Art Detroit (MOCAD). 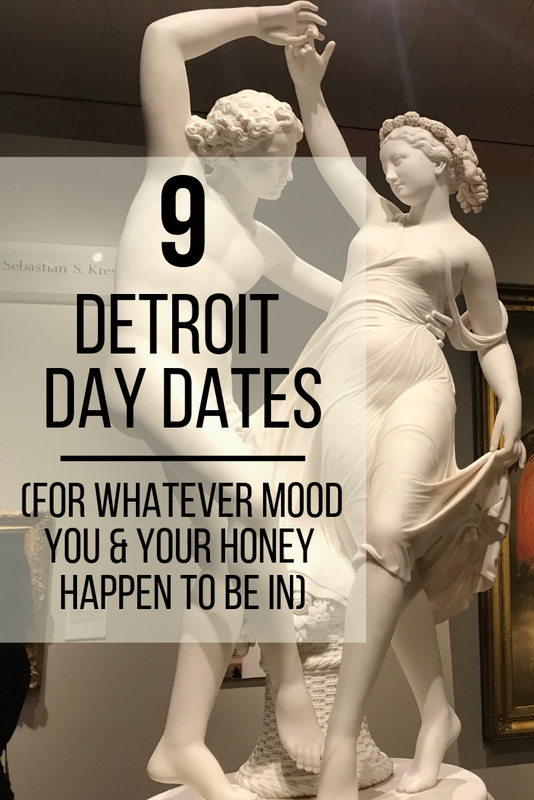 Next, support local artists at the Detroit Artists Market (a gallery/gift shop hybrid), then grab lunch at any of the delicious eateries in Midtown (lately, we’ve been loving 2941 Street Food). After lunch, drive out to the Heidelberg Project, a block of abandoned houses that have been transformed into works of thought-provoking art. Here, you’re free to take photos and roam around freely, but take care to follow these guidelines as recommended on the Heidelberg project website. 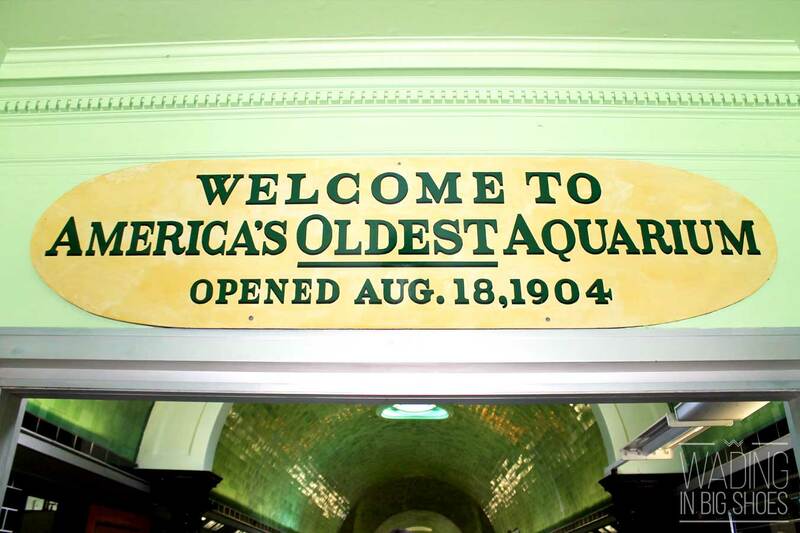 There are so many fantastic, old buildings in Detroit, and the best part is, there are plenty of opportunities to see these beauties up-close (and for free)! 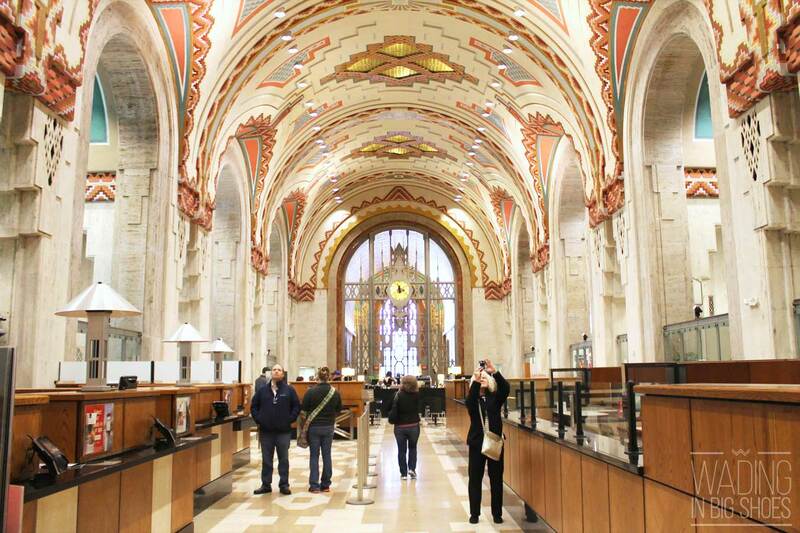 In my “Book Lovers” section, I mentioned that free tours are available for the Detroit Public Library (a great place to start), and you can also RSVP for free tours of the Guardian Building and Fisher Building with Pure Detroit (learn more on their Facebook page)! On these tours, you’ll not only learn about the people and methods that went into creating these iconic buildings, but also more about their historic significance throughout the years while being treated to exclusive views you might not get to see otherwise. Bring your camera, because there’s plenty to capture! Sometimes, you might just be in the mood to shop (or window shop), and that’s great, too! 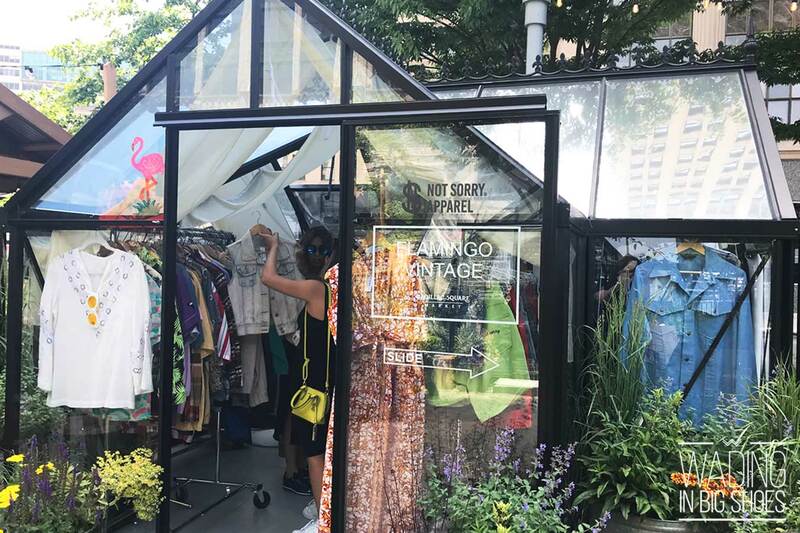 Tons of cool boutiques and well-known national brands have popped up in downtown Detroit over the last few years, and I say this over and over, but there is always something new to discover regardless of how often you’re in the area. Some popular spots: Shinola, Carhartt, Will Leather Goods, and the popup shops in Campus Martius and Capitol Square (days and hours vary seasonally). You can also hop on the QLine to easily shop up and down Woodward (check out Madewell, the Nike Store, Detroit Is The New Black, Moosejaw, and lots more). While you're on Woodward, don’t worry about where you’ll eat—from quick-casual to upscale, there’s an abundance of delectable choices wherever you turn. Avalon International Breads and Shake Shack are a couple of my favorites, but if you're in the mood for a more upscale/contemporary setting, eateries like Parc, Townhouse, and Central Kitchen are always bustling and boast high ratings. And there you go, friends! Have fun and let me know which of these dates you’d pick for you and your sweetie (and leave your questions and suggestions for additional dates in the comments below)! If you’ve seen the musical Waitress (or listened to the soundtrack), you’ll know the hauntingly-sweet sound of those three little words. I developed a soft spot for Waitress last year when I started listening to one of my now-favorite artists, Sara Bareilles (I know—about time, right?! ), who just so happens to be the creator behind the musical’s music and lyrics. All summer long, I’d pop in my earbuds, go on a walk around the block, and absorb Sara Bareilles’ “What’s Inside: Songs From Waitress” (a compilation album of Waitress covers, sung by Bareilles herself). Mesmerized by the melodies, I moved on to the Broadway cast soundtrack and started researching the musical as I added it to my personal “hope to see in person one day” queue. Little did I know, that chance would come sooner than I’d even dreamed, because Waitress is now on tour . . . and it’s-a comin’ to Detroit. 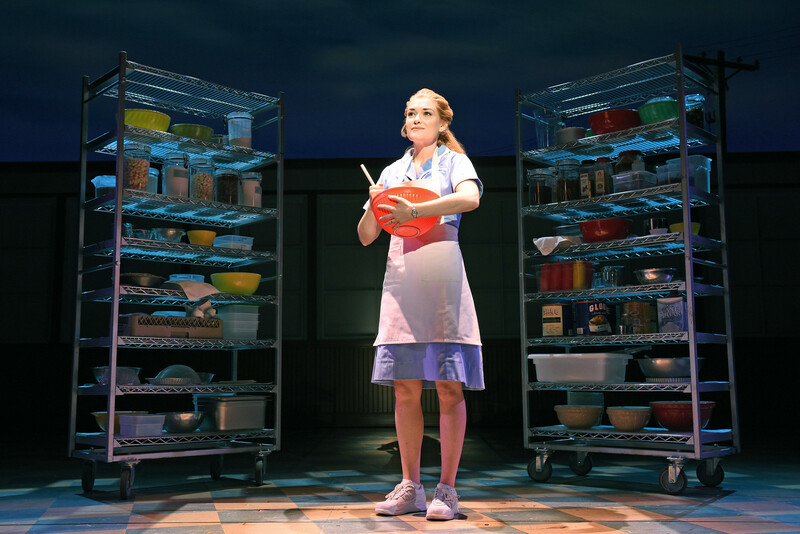 Inspired by the Adrienne Shelly film, Waitress tells the story of Jenna, a waitress and expert pie maker who dreams of a way out of her small town and loveless marriage. With an upcoming baking contest and new doctor in town, Jenna’s life is about to change . . . but maybe not in the way she expected. 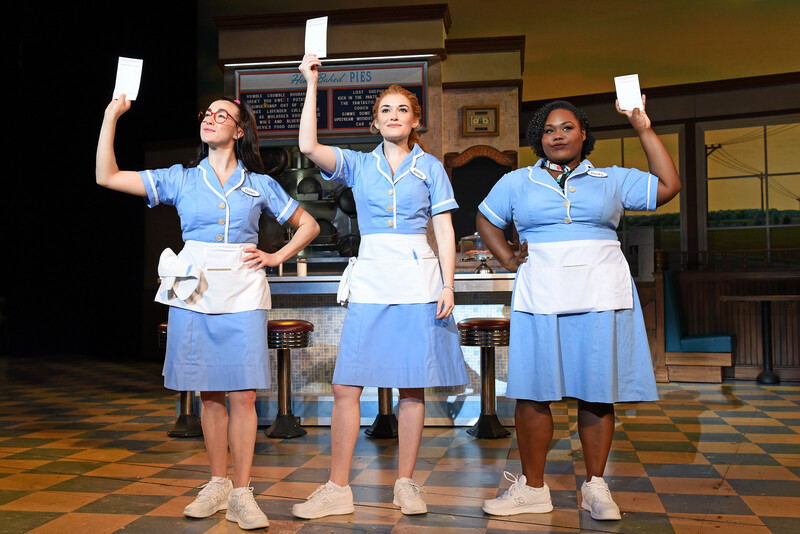 Brought to life by an all-female creative team, Waitress features original music and lyrics by six-time Grammy® nominee Sara Bareilles, a book by acclaimed screenwriter Jessie Nelson (I Am Sam), choreography by Lorin Latarro (Les Dangereuse Liasons, Waiting For Godot), and direction by Tony Award® winner Diane Paulus (Hair, Pippin, Finding Neverland). * Tuesday - Saturday evening performances at 8:00 p.m.
* Sunday evening performances at 7:30 p.m.
* Saturday & Sunday matinees at 2:00 p.m.
* Special open-captioned performance on Sunday, May 12 at 7:30 p.m.
Tickets for Waitress start at $39 (includes facility and parking fees). Tickets can be purchased online at www.broadwayindetroit.com or www.ticketmaster.com , and also by phone at 800-982-2782. A limited number of premium seats will be available through Ticketmaster and at the Fisher Theatre box office. For group sales (12 or more), please call 313-871-1132 or email groups@broadwayindetroit.com. Tickets for the open captioned performance may be purchased in person at the Fisher Theatre box office or by phone at 313-872-1000, ext. 0. Performance schedule, prices and cast are subject to change without notice. **NOTE: I am not an official representative of Broadway in Detroit. Please visit www.broadwayindetroit.com for the most up-to-date information on this show and upcoming shows. Who's excited to see this new musical? Let me know in the comments which newer or lesser-known musicals are your favorite! Disclosure: This post is sponsored by A Girls Guide To Cars. All thoughts, opinions, and personal stories are my own. 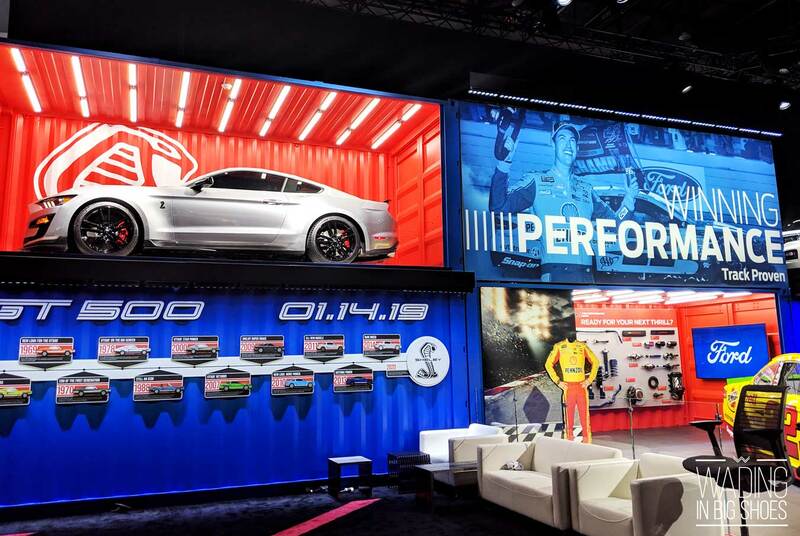 It’s hard to believe, but 2019 will be the last year the North American International Auto Show (also known as NAIAS or the Detroit Auto Show) takes place in January before moving to June in 2020! With my eighth auto show (and third year covering the show with A Girls Guide to Cars) in the books, the NAIAS has become something I get excited for as each new year approaches. While the change is bittersweet, I’m excited to see what lies in store for the makeover and just as importantly, soak up all the excitement of this year’s auto show while it’s here! 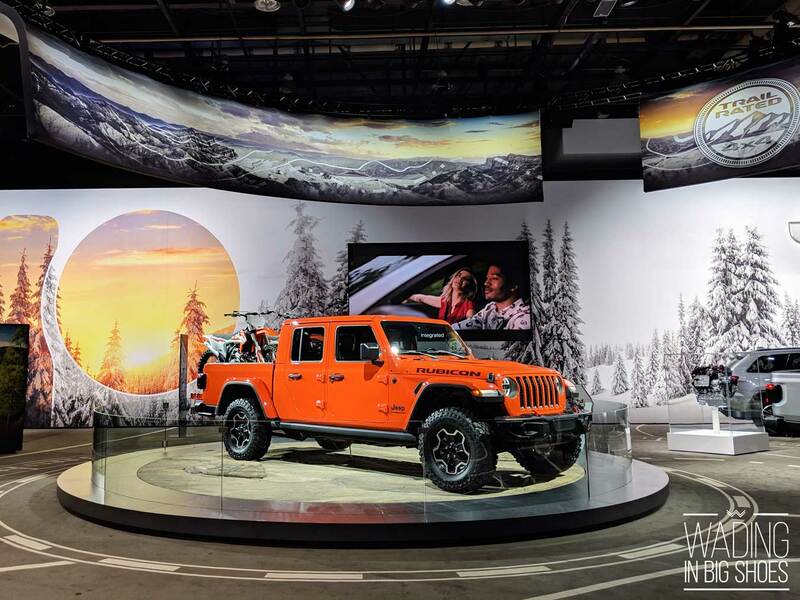 Above: Big changes are coming to the North American International Auto Show in 2020, including a switch from winter to summer and more tie-in attractions across the city. So what caught my eye during this year's auto show? Below, I've got the lowdown on which exhibits I loved and which vehicles you won't want to miss during your visit. If you know me, you know my favorite part of the auto show is all the interactive exhibits. 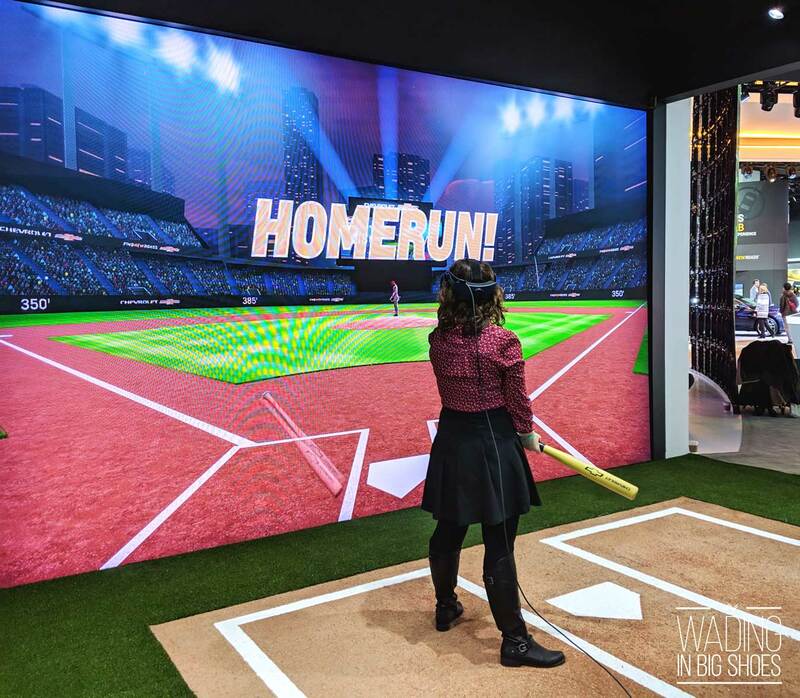 My first stop: The Chevy booth for the Chevrolet Homerun Challenge, a virtual experience where you can bat homeruns out of a computer-generated ballpark. This took me back to the ol' Nintendo Wii days, but with an immersive VR headset and giant screen, this is a lot more fun (and way easier to succeed than when playing real baseball ;) ). Next up was another virtual experience, this time at the Ford booth. In this ride, you'll hop into a Ford Explorer and wear a VR headset while a Ford team member drives you around on an actual obstacle course. The combination makes you feel like you're riding in real-world scenarios (tight cliffs, steep hills, and more) and has the potential to be the best virtual experience at the auto show. Depending on the popularity of the ride, however (and how the computers are functioning when you visit), be prepared for long lines and possible unexpected stops/malfunctions with this one. Kia has TWO booths at this year's auto show, both of which include AWESOME LED waterfalls (be sure to look for them!). Head to the back of the showroom for a Telluride demo, where a Kia rep will drive you along a man-made course to show off the handling of this rugged crossover. It's a quick ride, but lots of fun! A few vehicles garnered a lot of buzz during this year's media preview, and are sure to be popular throughout the public show, as well. 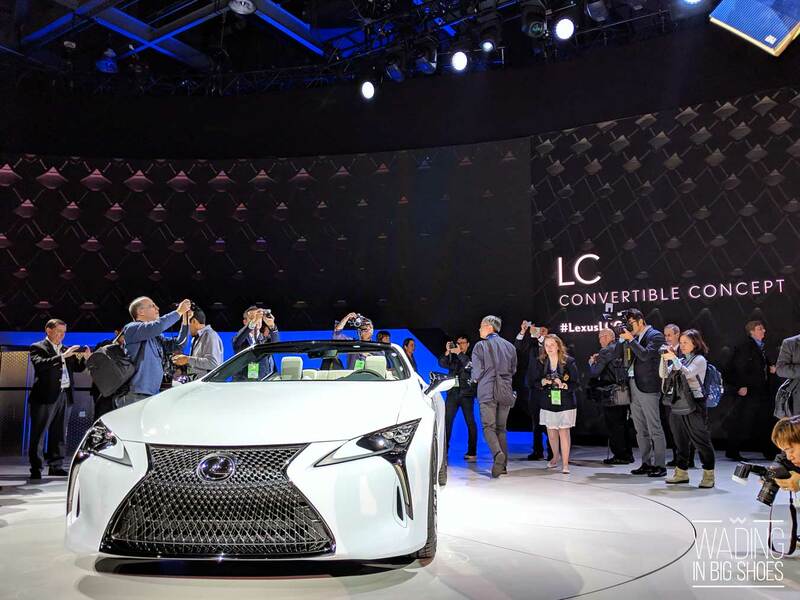 Cadillac debuted its all-new XT6, Toyota revealed the return of the GR Supra, and Lexus showed off an LC convertible concept car and gave us our first look at the RC F Track Edition. Changes were also made to the Ford Explorer and Mustang Shelby GT 500, while Dodge continues to wow truck lovers with the new heavy-duty RAM. GIVEAWAY: Enter to Win Tickets to The Detroit Auto Show (Plus, a $100 Grand Prize)! A Girls Guide To Cars is giving away TEN pairs of tickets to the 2019 Detroit Auto Show, and you can enter right here! Plus, one grand-prize winner will also receive a $100 gift card—the perfect prize to help you spend a great day out in Detroit! For your chance to win, click here to enter. Contest rules: Entries must be completed by midnight January 17, 2019. No purchase necessary; contest open only to US residents 18 and older and subject to the laws of Michigan. Winners will be notified by email. Winners MUST pick up tickets in person at the North American International Auto Show, Cobo Center, at 1 Washington Blvd. , Detroit, MI 48226 between January 19, 2019, and January 27, 2019. Winners may be asked to provide identification to receive their prize. Prize value $30 per prize, not exchangeable for cash or other items. Grand prize value is $130. A total of 10 pairs of tickets will be awarded and a total of 1 grand prize will be awarded. What are you looking forward to seeing at this year's auto show? Are you excited for the changes to come next year? During the holiday season, I often fall into the trap of thinking that if my shopping experiences are too easy, I probably didn't pick out the right gifts to give. After all, if you didn't spend eight weeks making it, two weeks driving all over creation to locate it, or twice your budget paying for it, it's probably too good to be true, right? To all my fellow gift perfectionists out there: Stop right now and take a deep breath. You are making this way more difficult than it needs to be. One of my favorite things to give others is the gift of food. No matter who the recipient is or where they live, there is some type of edible treat out there that's bound to suit his or her fancy. And when that treat is a piece of home (whether yours, theirs, or both), that just makes the whole deal even sweeter. 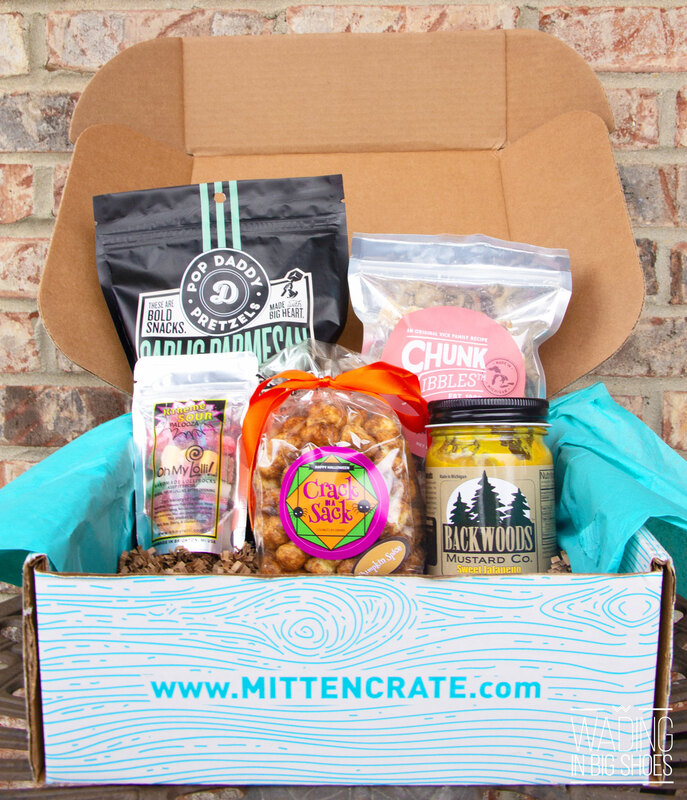 In a market saturated with subscription boxes, Mitten Crate always stands out to me because of its commitment to curating quality Michigan goods. 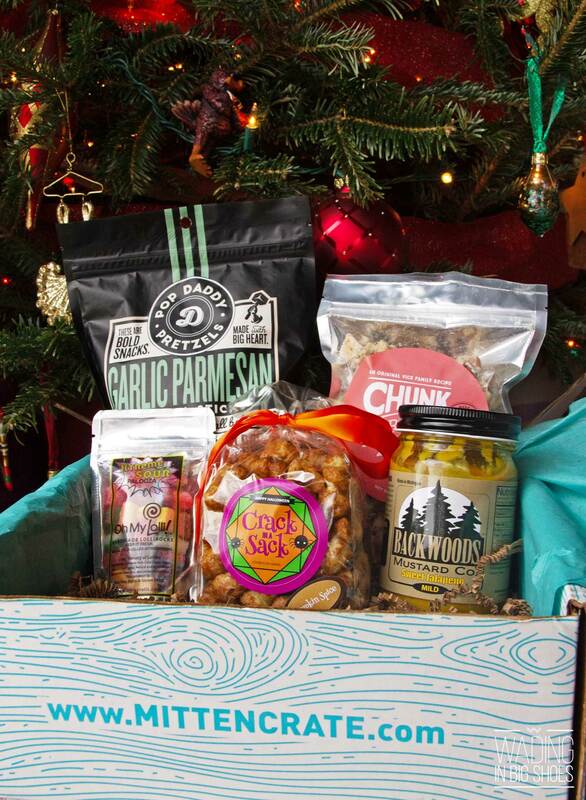 Over the past few years, I've discovered some of my favorite local fare through Mitten Crate, and often gift and recommend many of those products to others as a result. The gist is this: You can order a monthly subscription box, one-time box, or even hand-pick individual products for a personally-curated order. And it's all delivered right to your front door. This season, I'm bringing you an unboxing of one of my latest Mitten Crates (you can find more unboxings in these posts and periodically on my Instagram page), including details and photos to help you see what kinds of products you might find in a typical box. Plus, I've teamed up with Mitten Crate to bring you guys a big giveaway (THREE people will win! ), so keep reading for details below. 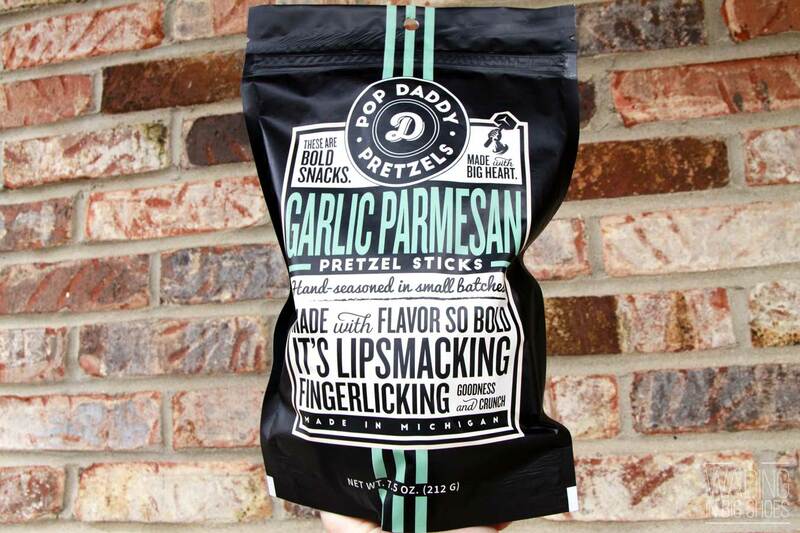 I've become well-acquainted with Pop Daddy's kettle corn through Mitten Crate, and now the Whitmore Lake snack company has graced us all with Garlic Parmesan Pretzel Sticks! According to the card I received in my recent crate, these taste great when dipped in sweet jalapeño mustard (keep reading below for the perfect pairing)! 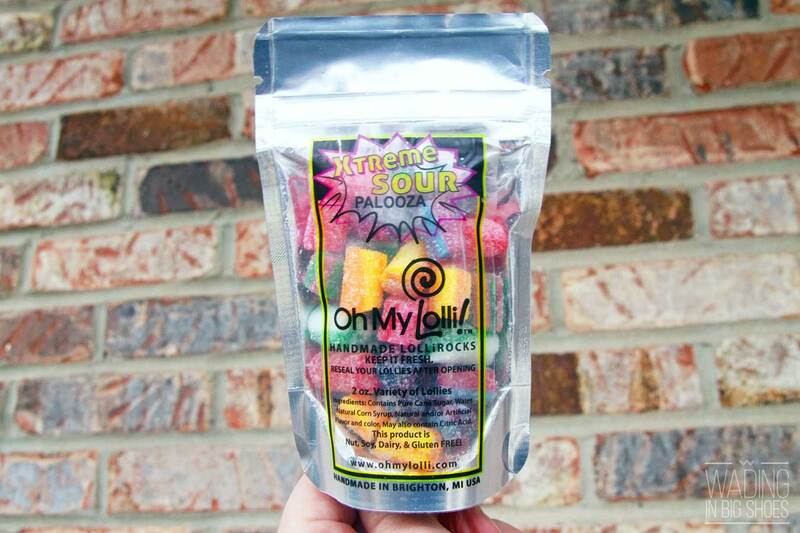 These handmade Xtreme Sour Palooza lollirocks from Oh My Lolli! are fun for kids and candy-loving adults alike. Free from nuts, soy, dairy, and gluten, the candies in this stocking-friendly package are also a great option for people with allergies. 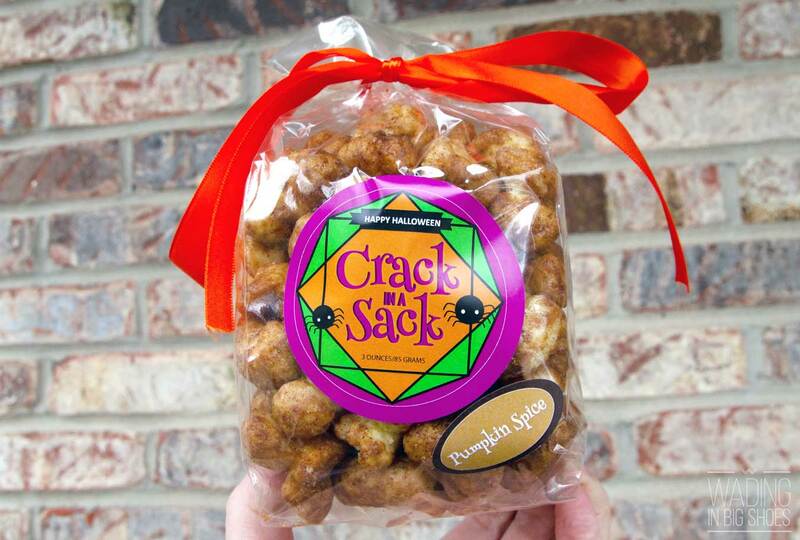 Addicting as all-get-out, Crack in a Sack is a melt-in-your-mouth, gift-ready treat that's also gluten free. This pumpkin spice variety is likely seasonal, but you can't go wrong with the tried and true Original (caramel flavor), either. 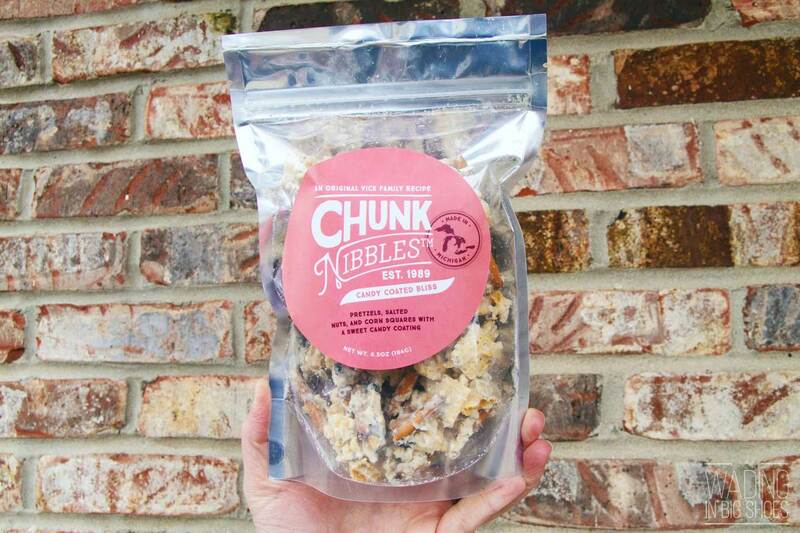 Chunk Nibbles "Candy Coated Bliss"
Chunk Nibbles pulls you in immediately with its tagline: "Candy Coated Bliss." Who can turn down that offer? A frosted combo of pretzels, nuts, and corn squares, this sweet treat makes a lovely party dish (and it'll save you the time you'd otherwise spend making that snowman mix!). Ah, here we are—the complementary sidekick to our aforementioned pretzels! 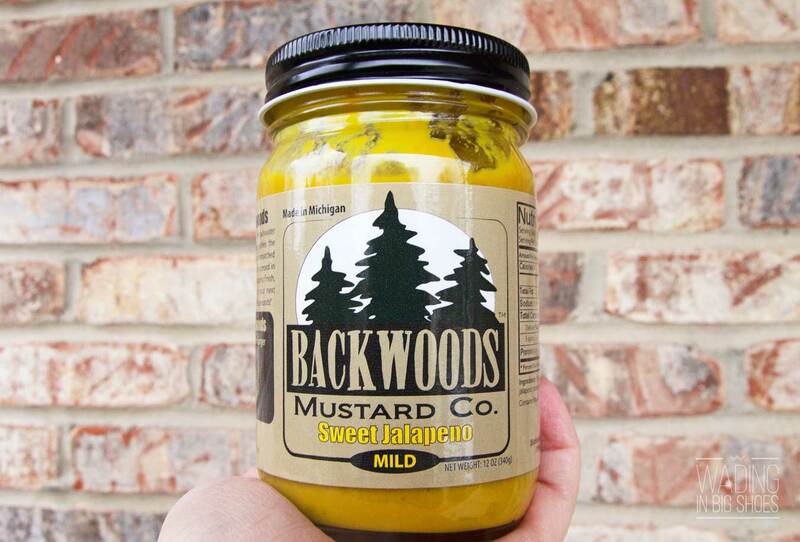 This Sweet Jalapeno Mustard from the Backwoods Mustard Company was developed up north two generations ago as a family deer camp recipe. The camp classic is touted as the perfect adornment for everything from smoked ribs to party dip. 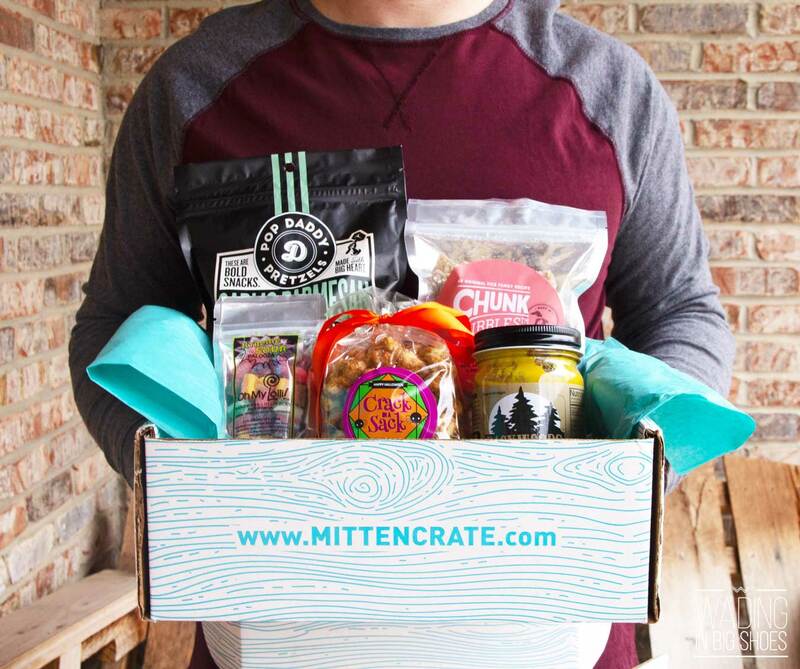 If you want to give the gift of Mitten Crate this season, you can save by ordering three months up front for $99 with shipping included (when all is said and done, this will save you around $17). Ship the crate directly to your recipient, and voila: shopping complete. 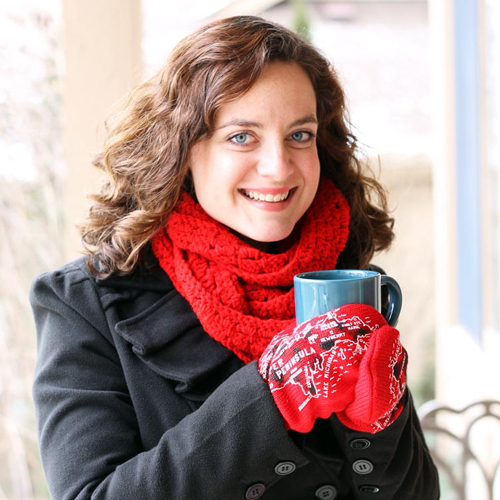 This holiday season, I'm teaming up with Mitten Crate to bring you guys another giveaway—and this time, THREE readers will each receive a Mitten Crate of their own filled with delicious, Michigan-made snacks! Giveaway ends Saturday, December 22nd at 11:59 p.m. est. Must be 18 or older to win. Get more contest details and enter using the Rafflecopter widget below. Best of luck, and be sure to leave me a comment about which foods you'd love to see delivered to your doorstep! What Michigan-made foods do you love? Comment below! Southwest Virginia born and raised, I moved over 500 miles to Southeast Michigan with my husband in 2011. Since then, I’ve been recording my adventures here, bringing you stories as I explore the “mitten state,” the midwest, and beyond. Have questions? Contact me at jennifer@wadinginbigshoes.com. I am a participant in the Amazon Services LLC Associates Program, an affiliate advertising program designed to provide a means for me to earn fees by linking to Amazon.com and affiliated sites. This helps me to maintain this site at no additional cost to you.